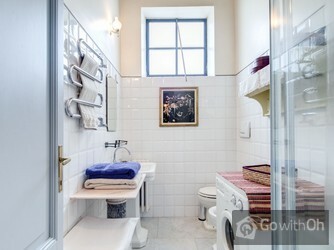 This charming apartment has been decorated with taste and attention to detail. 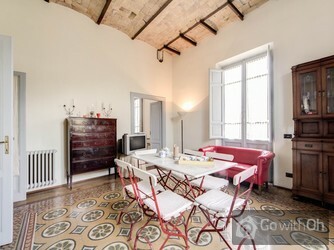 The attractive décor and the original tiled floors combine with the exposed brick to give the property a warm and cosy feel, ideal for those to wish to feel at home even whilst on holiday in the Italian capital. 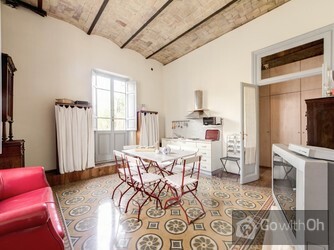 The 70m2 apartment is designed to accommodate up to three guests and is situated on the fourth floor of a traditional building in the stunning Borgo Pio district, one of the citys oldest and most beautiful areas. 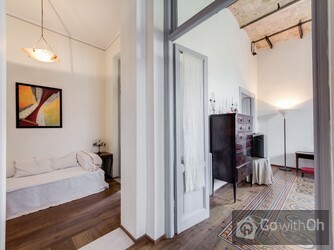 You will enter into a small entrance hall that connects all of the rooms. From here you will come to the bright and spacious living room that features a single sofa-bed, a dining table and chairs, and an LCD television. 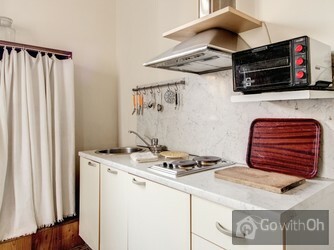 The kitchenette comes well-equipped and is ideal for preparing your meals. 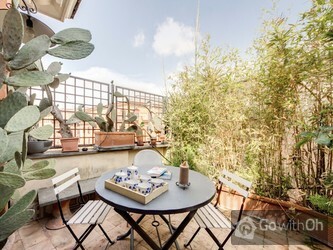 Through the large patio door you will find the highlight of the apartment, a fantastic terrace furnished with a table and chairs, ideal for relaxing and unwinding. 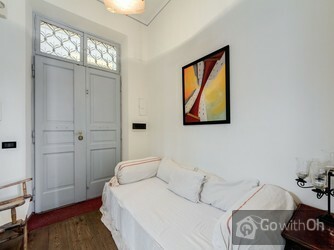 The bedroom is spacious and equipped with a double bed and a wardrobe where you can store your belongings. 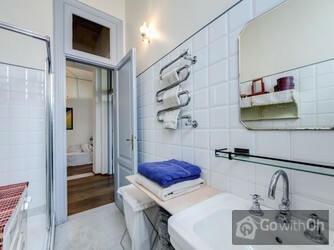 Finally, the bathroom features a box shower. 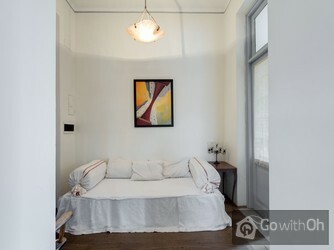 There is also free Wi-Fi internet available throughout the apartment. Late check-out between 21:00 and 00:00 will be subject to an additional charge of 20. 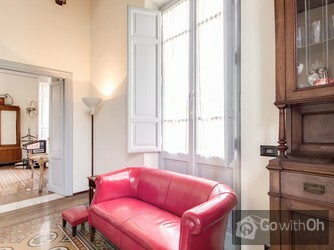 Thé ideal located accomodation to have an efficient Rome city trip. 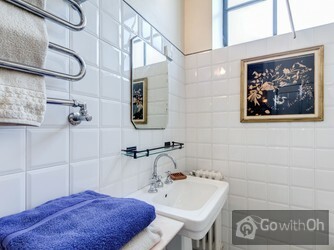 Authentiek appartement op een mooie locatie. Lekker ruim en aardige/behulpzame contactpersoon. 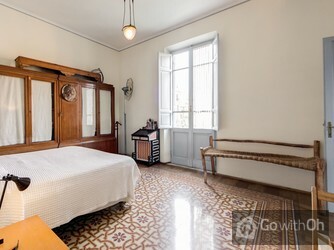 Apartement très agréable, bien placé, un excellent rapport qualité prix que je recommande. Es war ein bisschen schwierig mit der Schlüsselübergabe aber alles in allem war es in Ordnung. 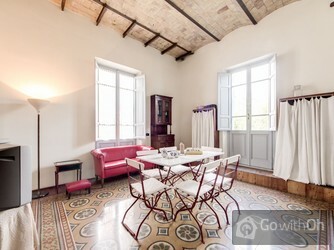 Appartement chaleureux typiquement italien. A recommander car super bien situé tant au point de vue des visites qu'au point de vue de l'ensoleillement. Accueil trés sympa. Quelques petits détails à changer dans l'appartement comme vaisselle ébréchée. Beaucoup de vaisselle inutile. Mettre à ...la disposition des locataires deux chaises-longues pour la terrasse ce serait très agréable car le confort des chaises de l'appartement est sommaire. Le fait d'avoir une personne de contact sur place nous a permis de régler rapidement deux petits soucis. 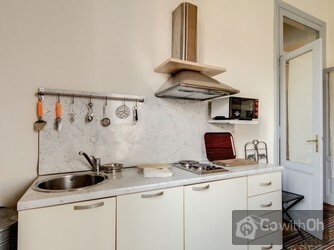 Lovely Terrace, great kitchen with everything you need. 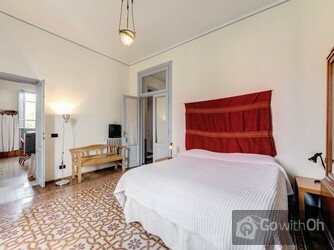 Spacious bedroom, great location near the vatican, market hall where locals shop for food right down the street. The lady who managed our check-in was absolutely fantastic! 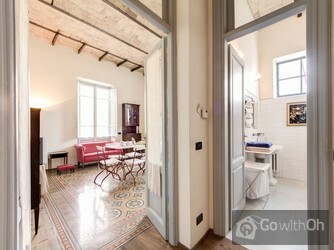 The apartment was beautiful and everything was perfect. We really loved it here, and would highly recommend it to others. 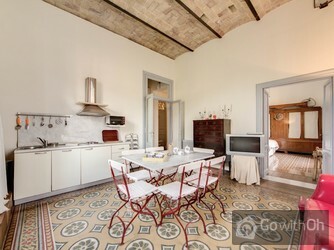 Very nice apartment, great terrace! 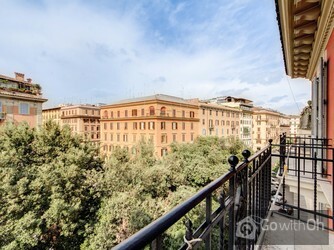 Ideal place to stay, close to Vatican, easy walk across the river to downtown. 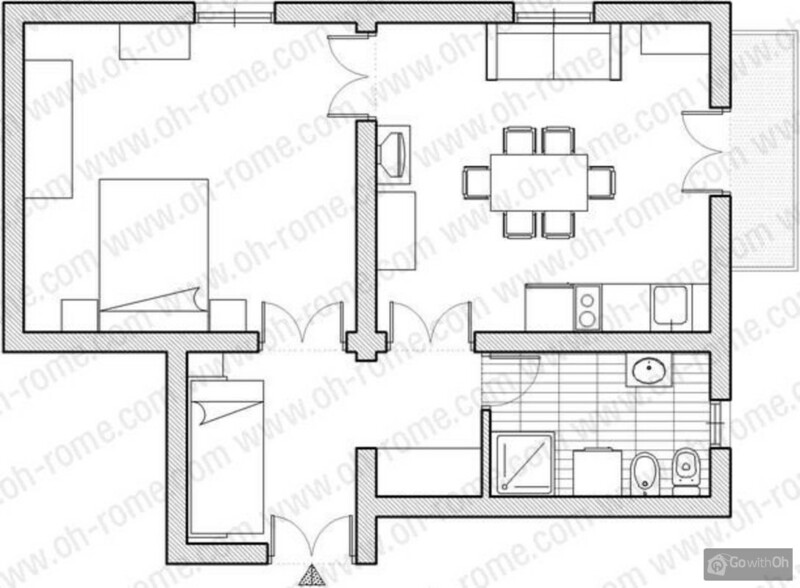 One should note that it is up four high sets of stairs, no elevator. 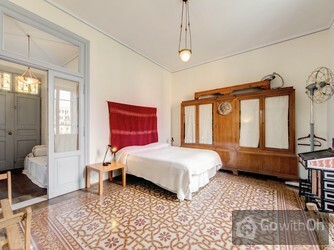 We would definitely book this again!